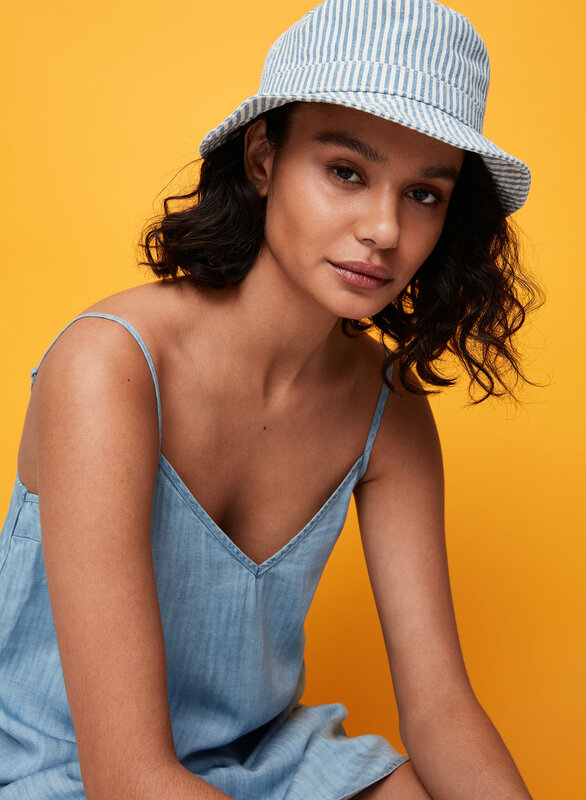 Styled with bucket hat , calf sock and the perfect slides. 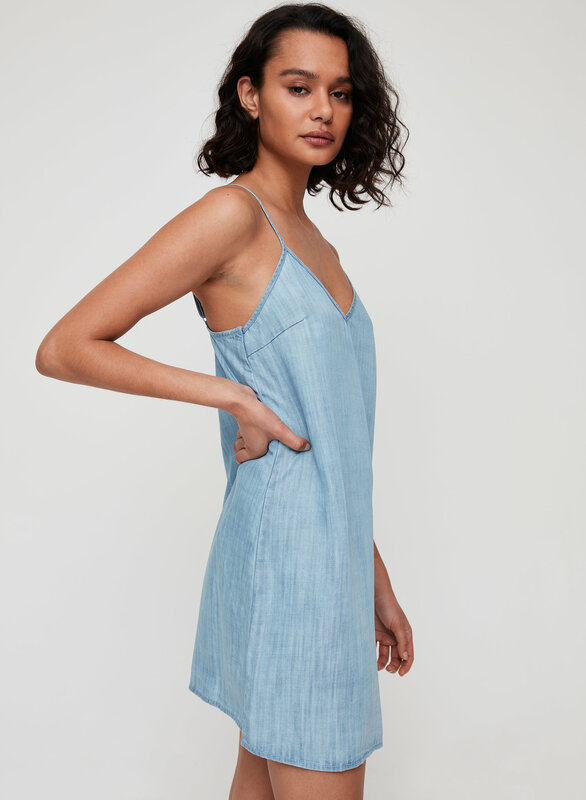 Looks like denim, feels like heaven. 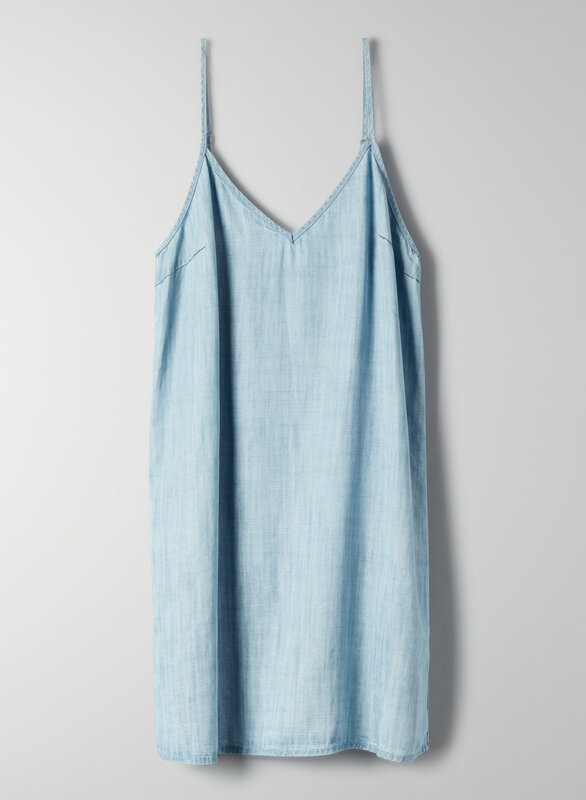 This is a slip dress with a V-neck and adjustable straps. 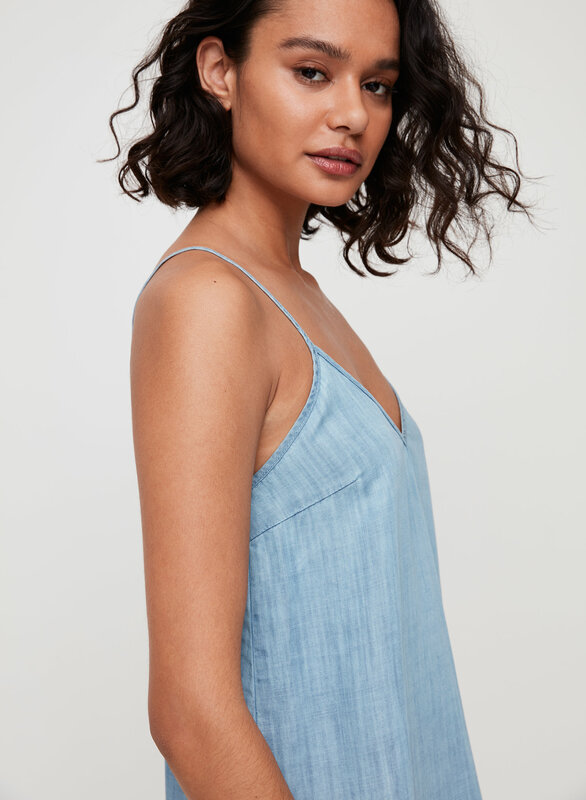 It's made with TENCEL® lyocell — a super-light, soft fabric that emulates the look of denim.